Certain products or services may not be suitable for you and not or only partially available in the jurisdiction you or a user are located. Please contact your Client Relationship Manager for details. After login, your dashboard will appear. The dashboard can be fully customised allowing you to easily access the features you require most. By adding or removing elements, or changing the display the default dashboard will truly become your very own. 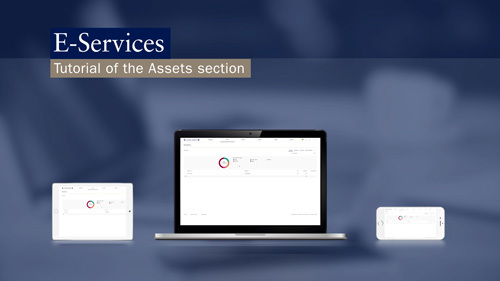 The Assets module provides you with an overview and understanding of your portfolio. You can analyse your portfolio by security type, currency and maturity. In addition, you can review the performance of your portfolio over a certain period, and review past transactions. Managing wealth has everything to do with understanding and access to financial markets. View up-to-date information of major financial markets and financial instruments across the world at any time with the Markets and Trading modules. 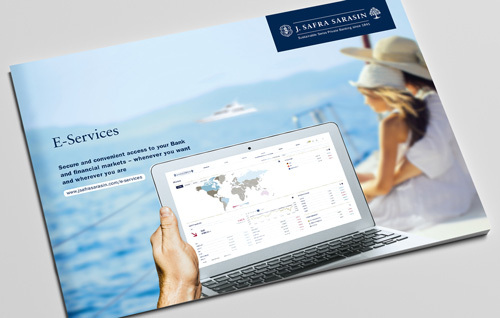 These modules are fully integrated in our E-Services and may help you identify interesting investment opportunities which you can trade directly online. The Payments module facilitates transferring money between accounts or paying others. You can define templates for regular payments, or scan a (Swiss) payment slip with your smartphone. 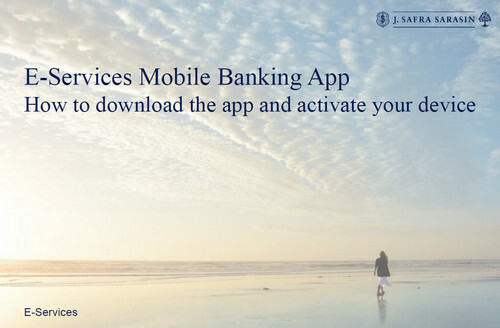 With the E-Services Mobile Banking app, access our banking services anytime, anywhere in the world via your smartphone. In addition, the scanning function of your smartphone can be used to make payments (Swiss payment slips only). The E-Services Mobile Banking app can be downloaded free of charge from the App Store or Google Play and works for all current iOS and Android™ devices. 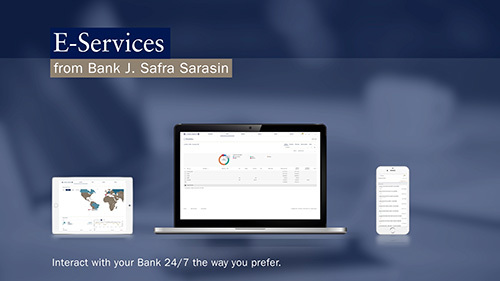 You are about to leave the website of Bank J. Safra Sarasin Ltd. Please be aware that the external sites of third parties linked to our website are not under our control and as such not verified by us. We are therefore in no way liable for their legal compliance and/or content and expressly draw your attention to the fact that the views and opinions expressed and any advice subsequently offered are not those of Bank J. Safra Sarasin Ltd.